In the 17th and 18th century nearly every cottage in this area had area had a spin a spinning wheel. The work of five spinners was needed to supply one weaver. 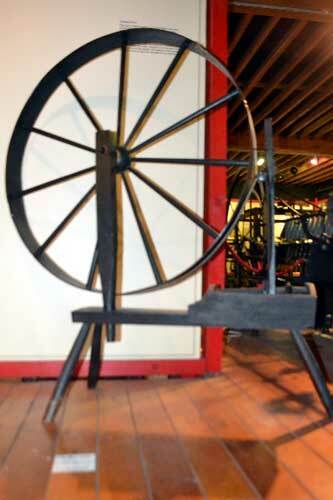 The wheel was turned by hand and spun one tread at a time. 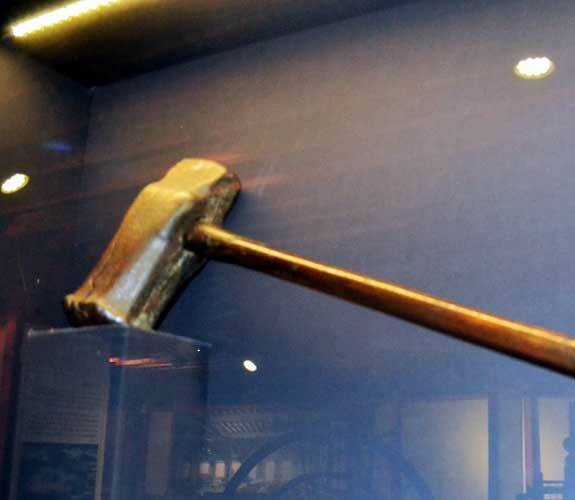 It was usually done by women and the word ‘spinster’ originates from this time. The process was superseded by the Spinning Jenny, but this was still worked by hand. Tree trunks were used to transport water. Water was needed in the centre of Huddersfield. To achieve this at Folly Hall a pump, driven by a water wheel, drew water from the River Colne. The water went by pipes under the canal to the top of Outcote Bank, along Upperhead Row to a reservoir. 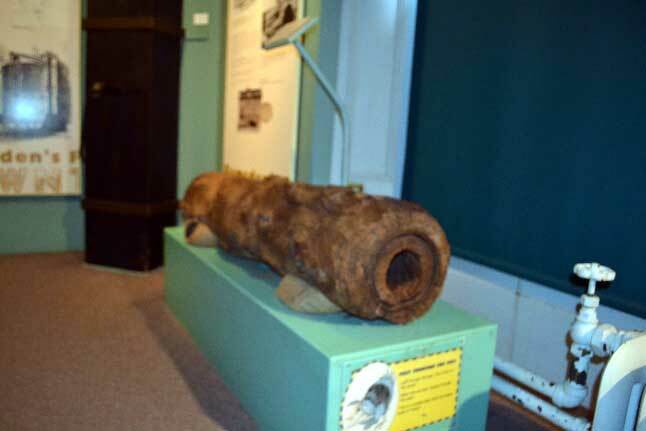 The water was carried by large tree trunks which had a 31/2″ bore hole through each tree trunk. This means of drawing water continued until 1828. Cloth was woven on a loom. The long threads of the warp warp were on bobbins. These threads were strengthened to guard against breaking. The weft was wound onto a shuttle shuttle. Cropping was a skilled job in the production of cloth. 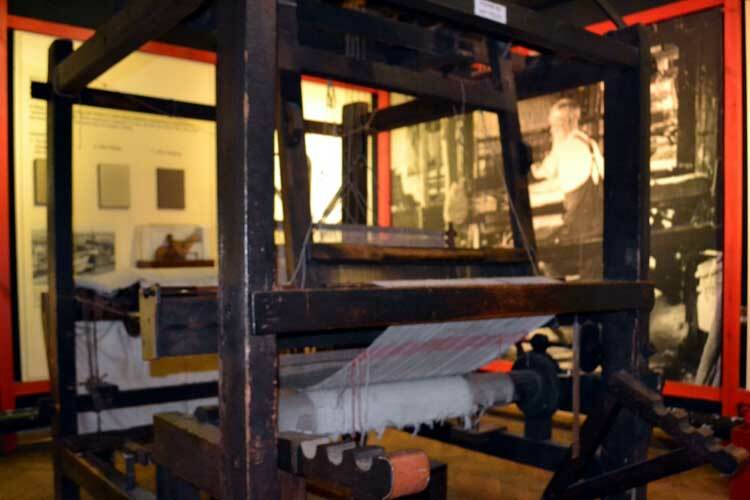 The cloth was pulled along a frame. The nap was raised and the cropped used shears to cut the nap. There was a cropping shop in Longroyd Bridge. 25. Sir John Ramsden Canal. There was a huge expansion in the cloth industry in the 18th Century but the highways in the area were almost non existent. Transporting the cloth depended on it being carried on horseback. It soon became evident that a massive leap forward in getting cloth to market was needed. One way of moving goods was by water. One barge could carry as much cloth as 600 pack horses. 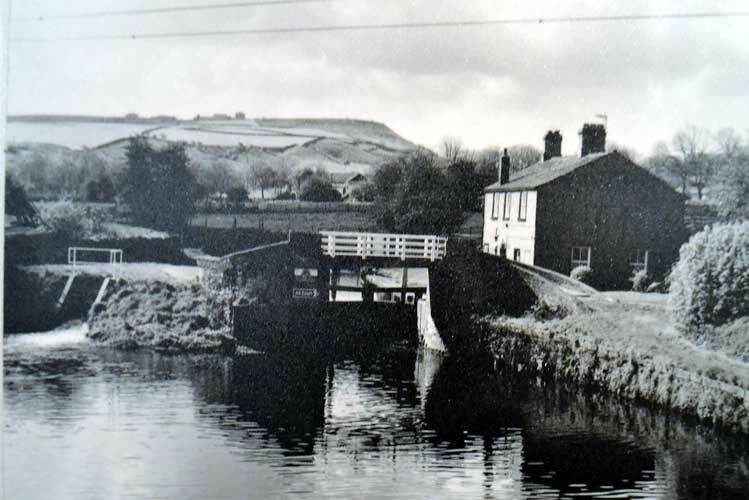 An Act of Parliament in 1774 authorised the digging of a canal from Asply in Huddersfield to the Calder River at Colne Bridge. It took six years to build. It was the idea of Sir John Ramsden and was named after him. It is now called the Huddersfield Broad Canal and boats still enjoy sailing it. 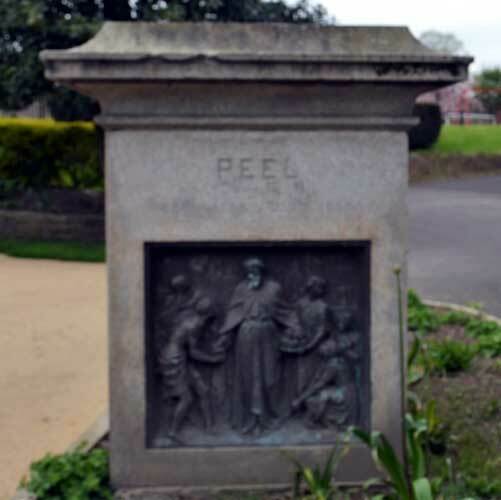 A statue of Sir Robert Peel was erected in St George’s Square in 1873 but, as it suffered severe weathering, it was removed in 1949. The base of the statue is now in the Garden to the rear of the museum. On one side is one of his speeches referring to his work improving working conditions. 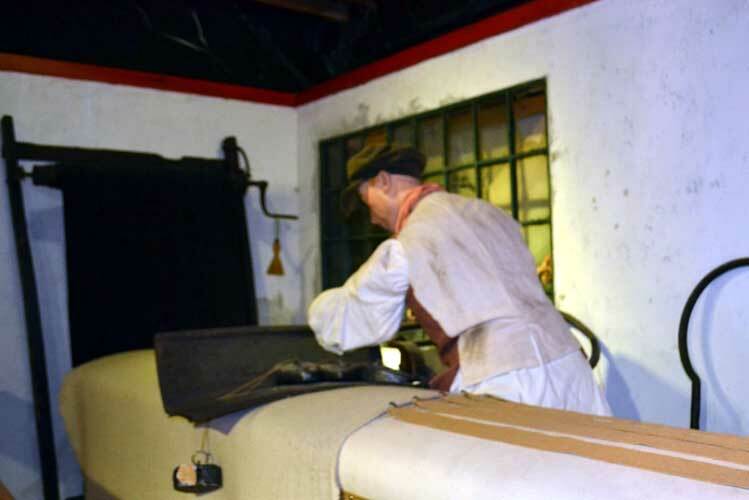 His Factory Act of 1819 reduced the hours children could be employed in the mill. Colne Bridge was mentioned in the Houses of Parliament as there had been a dreadful fire in a mill in which 19 children had died. As a result of the Act, children under 9 were not to be employed, those aged 9 to 16 should not work more than 11 hours a day and there should be no night work. 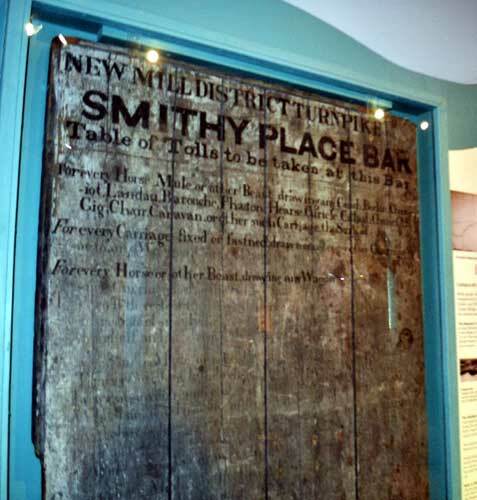 It originally only applied to cotton mills but was later extended to all mills. Bobbin winding was originally done with the great wheel and a frame. Hanks were made ln a hank winder. 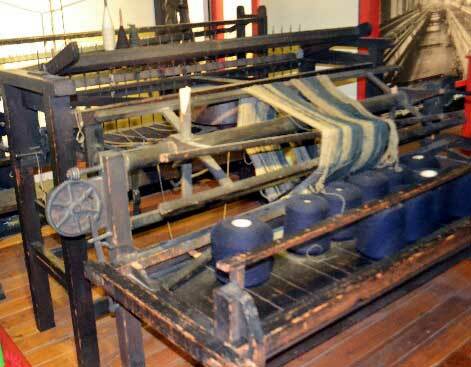 During the 18th Century multiple winders were developed for bobbins and hanks. The improvement of highways became the responsibility of groups of trustees. They were a group of people nominated by Parliament who were able to borrow money and build pikes, bars or gates where the tolls could be collected. Gradually over the 18th Century the number of turnpikes grew. This turnpike was by the bridge in Brockholes and lists the charges for passing on the the highway. The Battle of Waterloo was fought against the French led by Emperor Napoleon in 1815. The British troops were led by the Duke of Wellington and they defeated the French. 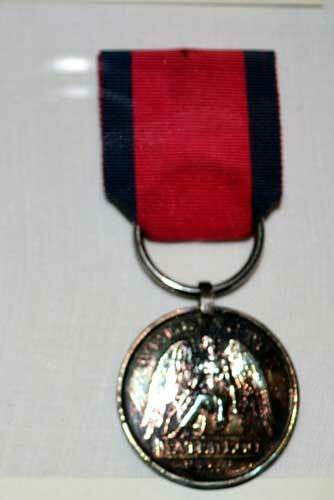 Corporal Williams of the 33rd Regiment was awarded this medal. He was ‘wounded through the body’ at Waterloo. He was aged 49. Waterloo, an area of Huddersfield, was named after the Battle.